Mammoet’s LTM 1250-5.1 lifting the Lunar Lander to be transported. 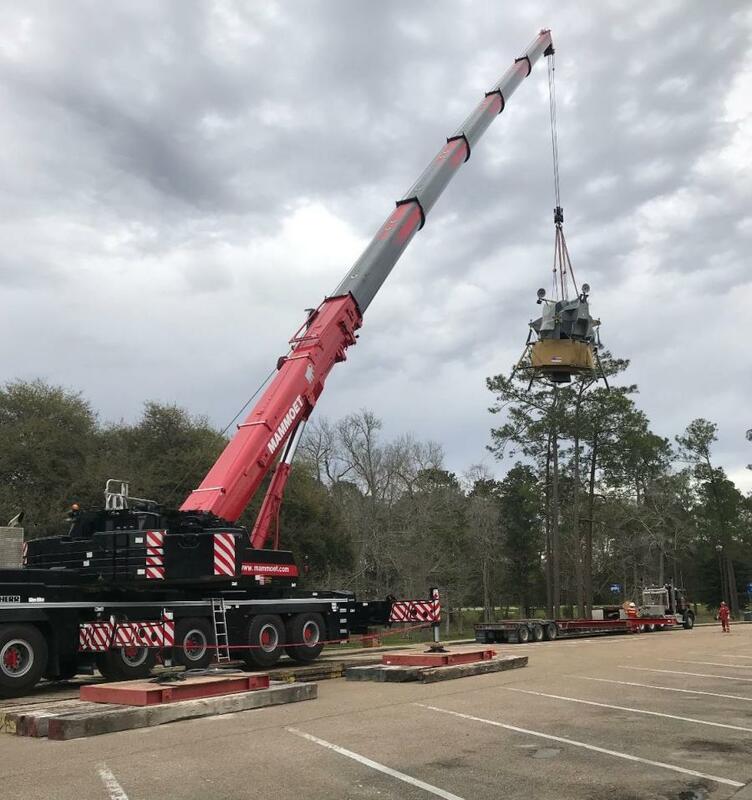 Mammoet's crane services team in Louisiana recently completed the successful transport and lift of a 4,500 lb. Lunar Lander at the INFINITY Science Center in Mississippi. Utilizing a LTM 1250-5.1, the crew carefully lifted the 20 ft. (6 m) tall moon lander over the Science Center's roof before setting it into place in front of the building where it will sit as a permanent attraction for visitors. The 50 year old artifact was transported from the Mississippi Welcome Center next door to the Science Center, and placed next to the Apollo 19 Saturn V first stage already on site. The moon lander, which is constructed from military-grade aluminum, has previously been used in training space-suited astronauts on how to exit and enter the vehicle to descend to or ascend from the moon's surface in preparation for their actual voyages. 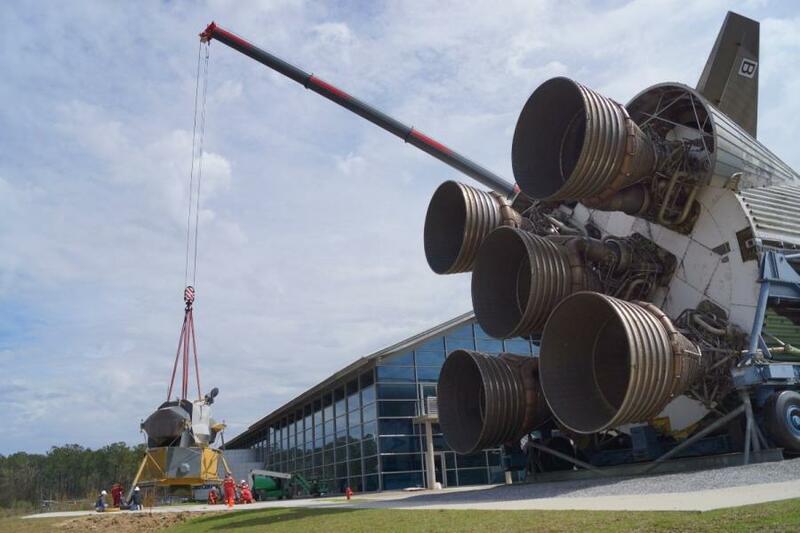 Previously Mammoet also successfully transported the Apollo 4 capsule, from the NASA Stennis Space Center to the Science Center to put it on public display for the first time in five years. The 10.5 ft. tall command module made the first unmanned "all-up" test flight of the Saturn V rocket. The nine hour flight demonstrated the S-IVB third stage restart and tested the heat shield upon reentry. Mammoet has been trusted with several historic moves in the past, including the 2001 well-documented Kursk submarine lift in the Barents Sea. In more recent history, Mammoet's team has been a part of the notable No. 576 steam engine move in Nashville, moving a 2,400 ton mosque and the transport of a historic building frame at Pier 70 in San Francisco.